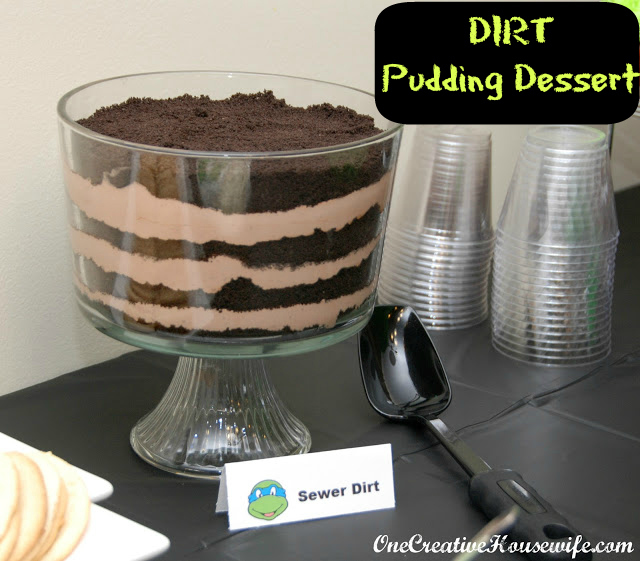 This past week I received a request asking for the recipe to the pudding dessert I served at my kids' birthday parties. 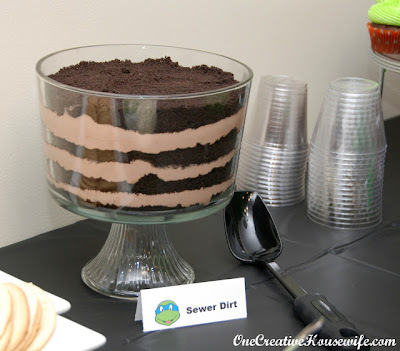 My daughter was on Spring Break this week and I have no lunches to share, so I thought it would be the perfect time to share the "DIRT" recipe. 1. Crush the Oreos in a food processor, or by hand in a ziploc bag. 2. In a large bowl beat the milk and pudding with a wire whisk, until well blended. 3. Allow the pudding mixture to stand for 5 minutes. 4. Fold the Cool Whip into the pudding mixture. 5. Layer the crushed Oreos and pudding mixture in a bowl, or individual cups. 7. Garnish with gummy worms or fruit snacks, if desired. For my son's Ninja Turtle party I made a 1.5 batch the recipe and layered it in an 8" diameter round truffle bowl. For my daughter's Little Miss Sunshine and Lalaloopsy parties, I layered the DIRT in a large bowl and decorated it with flowers and gummies. 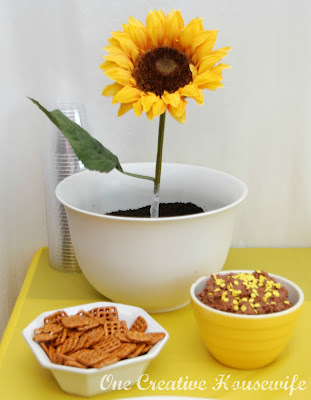 For the Little Miss Sunshine party I made a single batch. 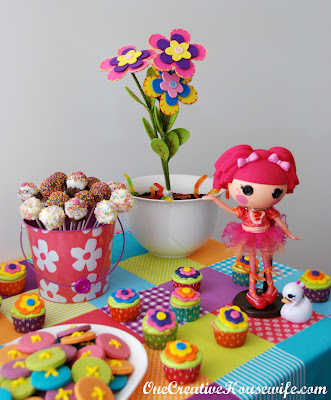 For the Lalaloopsy party I made a 1.5 batch. TIP: I wrap the stem of the flowers in GLAD Press'n Seal before placing them in the "DIRT".